Google Play Music adds sound quality options for downloads and streaming | What Hi-Fi? The latest update lets you tweak the settings for downloads and streaming over wi-fi, meaning you can ensure you hear you tunes in the highest possible quality. Google Play Music has been updated, adding the ability to set the audio quality when downloading music tracks or streaming over wi-fi. Previously, users could only adjust the quality when streaming using their device's data connection. You'll find the new options in the Settings menu under Playback. By default, the quality when streaming over wi-fi is set to Always High. This ensures the best sound quality, but could also mean you encounter buffering if the network is slow or busy. That shouldn't be a problem in most homes, but could be when using wi-fi out and about. You can also choose Low, Normal or High. Always High has been added as an option for streaming using your data, too. Just be careful you don't eat through your entire allowance, or you could face a hefty bill. When downloading music for offline playback, you can choose Low, Normal or High. Sadly, there's no word on what bitrate these files will be (though the service has previously said 'up to 320kbps'), but the lower options could be useful if you don't have much storage left on your device. 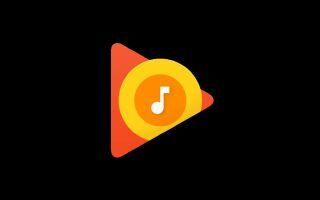 Version 7.5 of Google Play Music is available now through the Google Play app store. Google Play Music, like Apple Music and Spotify, currently max out with compressed audio formats around 256/320kbps, though rumours suggest Spotify could soon launch a higher-quality 'hi-fi' tier. This would see Spotify match the likes of Deezer, Tidal and Qobuz in offering CD-quality, uncompressed audio streams.